Born in New York, Victoria Walls grew up charmed by the self-confident working women of the city. Translating the essence of her metropolitan muses into her eponymous label, each exquisite piece suggests sophistication and easy minimalism. 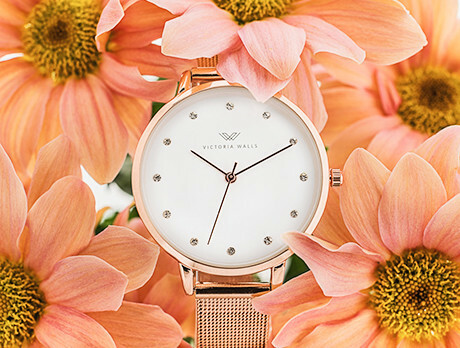 Through mesh strap watches, crystal studs and more, this collection promises timeless style and infinite elegance.